Buzz..Buzzzz..buzzzzzzzz .. That is how a lone mosquito irritates you in the middle of the night trying to convince you that his lullaby is helpful. Insignificant or not, But truly that is the underlying inspiration for this project. The Mosquito repellents have this obnoxious smell that I would not like to sleep in and these loner mosquitoes who just piss me off by buzzing in the ear, you have to choose a lesser evil. Obviously, I turned ON the repellent and in a while it goes off but the smell starts building up and I am too lazy to turn it back OFF, leaving the warmed blanket on a chilly Delhi December Night. The nocturnal dilemma . 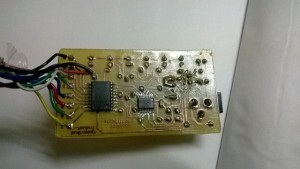 For the recipe, the main ingredient is MSP430 as I was able to get it in a desired TSSOP package from TI itself (The local sellers don’t seem to like SMDs), Its easy to play with thanks to Energia and best of all – Low Power . I chose to use MSP430G2553 as i already had the chip in DIP to prototype with. 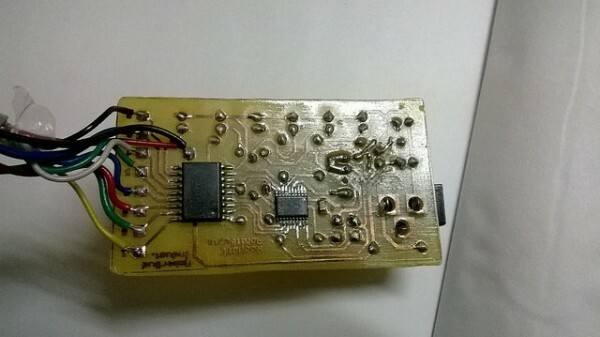 For driving the relays and the RGB LED strip ( a small part of the bigger strip with actually just 12 LEDs ) , I used ULN2803 , the octa darlington chip. And Yes ! I didnt use opto isolation for the relays. So, why not just use a remote to turn it back off and maybe add some other things like Reading Light control, Mood Lighting?